There are a lot of toothpaste brands making claims like these — choosing one to use among the many can be overwhelming. Is there a way to cut through the marketing noise and get to the essentials about toothpaste? Absolutely, if you keep in mind the main objective for brushing — removing plaque, the thin film of food remnant and disease-causing bacteria on tooth surfaces. Toothpaste formulations play a big role in this effort, so you should first zero in on the ingredient list for substances needed to do the job of plaque removal. For example, toothpaste needs abrasives: these substances’ grainy texture help make the mechanical action of brushing more effective. Look for abrasives like hydrated silica (made from sand), hydrated alumina, calcium carbonate or dicalcium phosphates, which effectively remove plaque and staining but won’t damage tooth enamel. Detergents are also important for loosening and breaking down food particles that won’t dissolve in water (non-soluble). 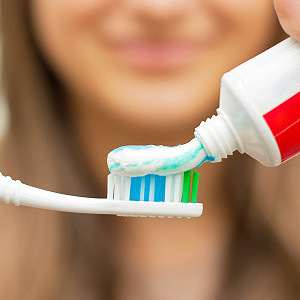 The most common detergent in toothpaste is sodium lauryl sulfate, often found in a variety of hygiene products. It’s been used safely in toothpaste for over fifty years, but it can irritate canker sores. If you’re prone to these, you may want to steer clear of this ingredient. And, don’t forget to look for fluoride. This natural chemical, known for strengthening tooth enamel, has been a regular in many toothpaste formulations since the 1950s. Although there have been concerns about its safety, years of research has found only one relatively minor health condition linked to fluoride: internal tooth staining called fluorosis caused by overexposure at an early age. It’s effectiveness as a tooth decay fighter, however, is well substantiated. Be sure also to look for one other item on toothpaste packaging — the Seal of Acceptance from the American Dental Association. A brand with this seal has passed independent testing substantiating the product’s claims. Looking for these basic ingredients will help you choose a toothpaste brand that’s right for you. Along with an effective brushing technique, you really can have brighter teeth, fresher breath and fewer dental problems.